Vaseline petroleum jelly contains mineral oils and waxes. While it will not harm a wood floor, it is a slipping hazard so should be cleaned up quickly. Wipe it away to remove most of the residue, using dish soap and a damp paper towel to remove any remaining residue. 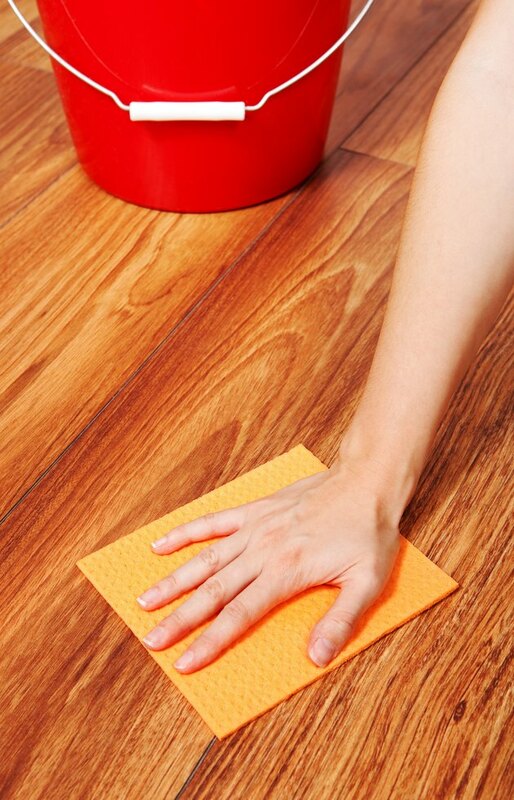 Since wood floors can swell and warp when exposed to water, avoid using too much water during this cleaning process. Wipe up excess Vaseline before applying water or soap. Use a plastic spoon or scraper to remove spots or blobs of Vaseline from the wood. Wipe up remaining Vaseline with paper towels. Dampen a sponge in warm water. Apply a squirt of liquid dish detergent to the sponge. Rub the sponge over the wood. Rinse out the sponge and wipe the affected area of the wood again to remove detergent residue. You may need to wipe the area several times to remove all of the residue. Dry the wood immediately with a clean towel.